The days are starting to get a bit longer and warmer. It’s hard not to get excited for the upcoming fishing season. There are a few openings still available for this summer. If you have particular dates in mind I would be happy to work with you to accommodate, if at all possible. Give us a call at 1-800-445-4624 or email josh@canadianflyinfishing.ca to let us know what dates you are looking to book a trip. On Thicketwood there is one opening June 2- 9. On Peisk Lake there is one 4 day opening June 10-14. On Mimi there is one opening June 15-22. On Robert there is one opening July 27-August 3. 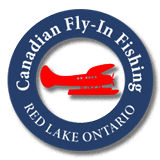 If you are interested in booking any of the above dates call 1-800-445-4624 or email josh@canadianflyinfishing.ca.